Young Rebel Star Prabhas is known to be a good human being and he has now proved that yet again with a special gesture for women. The audio function of ‘Mirchi’ is scheduled for January 5th and heavy crowds are expected for the event. The production team decided to get issue special Ladies Special Passes to prevent any inconvenience for women who turn up for the event. 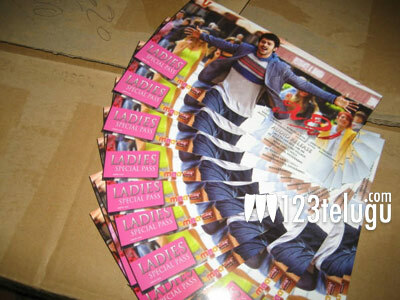 Prabhas has legions of female fans and this move is being appreciated by all. ‘Mirchi’ has been directed by Koratala Shiva and Anushka will be seen as the heroine. Richa Gangopadhyay will be seen as the second heroine in the movie. Devi Sri Prasad has scored the music. Mirchi is being produced by Pramod Uppalapati and Vamsi Krishna Reddy. The movie is gearing up for a February launch.